The Western Press has been making light of the recent split between potash producers Belaruskali and Russian Uralkali, signalling a turn for the worst in Belarusian-Russian economic relations. In a unique project, Belarusian volunteers have set out to digitally map the country with the help of Nokia. The UN Special Rapporteur on Human Rights in Belarus has called for the immediate release of opposition activist and political prisoner Ales Byalyatski, while Belarusian ruler Aleksandr Lukashenka fishing tales have captured the interest of the west. All this and more in this edition of the Western Press Digest. Belarus – No Longer a Blank Spot on Europe’s Map. The New York Times covered a story discussing the how over 600 volunteers, including geography students and professors have recently undertaken a project sponsored by Nokia to create a reliable and detailed user-friendly map of Belarus. The initiative is the result of map enthusiasts collectively approaching Nokia to start such a project in Belarus, which has not seriously participated in any digital mapping projects before. Belarus remains largely unmapped due to the long and difficult process of getting a license to carry out any mapping within its borders. Belarusians Fined and Detained for Insulting Police on Internet and a Video – According to web-based project Index on Censorship, in two separate instances Belarusian courts prosecuted two citizens, one for insulting police officers and the other for the content of their video. In the first instance, a young playwright made a comment on a popular Belarusian website (www.tut.by) in which he criticised the police for being unhelpful after he called them after becoming the alleged victim of assault. Officials accused the convicted of insulting the police officers. In the second instance, a former employee of MAZ, one of the largest automobile plants in Belarus, posted videos online that depicted the day-to-day lives of those who work in and around the factory. The court sentenced former MAZ employee to seven days of administrative arrest for using obscene words in the videos. Troubled Belarus-Russian Joint Potash Corporation Could Lead to Economic Woes – The Financial Times has reported on potash sales, one of the major sources of revenue for the Belarusian state, and stated that it may see a significant downturn after a rift between the Russian and Belarusian sides has emerged. 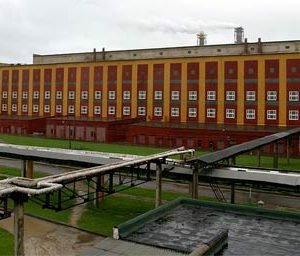 Uralkali, the major producer of potash in Russia, has withdrawn itself from the joint corporation after it accused its Belarusian partner of working outside of the terms of their agreement through unauthorised potash sales abroad. The demise of the cartel of the two major producers of potash, a crucial agricultural fertiliser, has driven down prices and will likely have dire effects on the Belarusian economy as it has very limited exporting capacity to reach world markets in contrast to its Russian counterpart. Belarusian President A Better Angler than Russia’s Putin – After receiving a large amount of attention in the Belarusian press, a statement by Belarusian President Aleksandr Lukashenka has gotten the attention of the western press. The Wall Street Journal reports that Lukashenka made a comment that he himself had caught three fish, weighing in at 57, 24 and 7 kg respectively, out fishing his Russian counterpart who managed to only capture a 21 kg fish in a recent trip to Siberia. Whereas the publicity stunt of was captured in pictures, the absence of any evidence in Lukashenka’s fishing tale was duly noted. Belarus Should Release Political Prisoner Ales Byalyatski – In a statement issued by Miklos Haraszti, the UN Special Rapporteur on the Human Rights in Belarus, the expert called for the immediate release of opposition activist Ales Byalyatski. Byalyatski has languished in Belarusian prisoner for nearly two years of a four and a half year sentence as a result of his conviction for tax-evasion. Radio Free Europe/Radio Liberty reports that Haraszti stressed that the allegations against Bylatyatski are the result of the untenable conditions in which he had to operate in Belarus, since he is not allowed to legally register his organisation due to the authorities refusals. Authorities recently detained two activities of the NGO Viasnya, which Byalyatski founded, for distributing cards with his picture on it. Belarusian Citizen Held Captive in Syria – A recent video has emerged of two women, one claiming to be from Belarus, who are being held by Syrian rebels. Radio Free Europe/Radio Liberty states that in the video, the women claim to be agents of the pro-Assad Palestinian political organisation Hezbollah, who were collecting intelligence and using journalist credentials as cover. In the video, the women identify themselves and one reads a statement that declares their alleged intentions. Opposition figure disappears for 15 minutes, violates parole – According to Radio Free Europe/Radio Liberty, a Belarusian opposition activist is going back to jail for three months after his parole officers were unable to locate him for 15 minutes. Uladzimer Yaromenak was pardoned by Lukashenka after being sentenced to a six year jail term for taking part in the December 2010 protests. The article news service that this is not the first time that Yaromenak has violated the terms of his parole and he intends to appeal the decision. Lithuania concerned about Belarus’ nuclear power plant construction – Bloomberg Businessweek is reporting on a statement issued by the Prime Minister of Lithuania, Belarus’ neighbour has been pressing it to respond to its queries about the power plant’s construction. The UN cited Belarus for violating the terms of the Espoo Convention and not taking the necessary steps to ensure its compliance with international standards. In response, official Minsk has stated that it replied to the same query a year ago, but its Lithuanian partners have yet to open a dialogue. It also notes that Poland, Latvia and Ukraine have not lodged a similar complaint, though they are also signatories to the Espoo Convention. Last week, the German Boell Foundation invited the German Belarusian community to a Belarusian evening in Berlin. This event was organised by participants of a summer school who gathered all those who are interested in or dealing with Belarus in Germany. In times of difficult official relations, German foundations maintain contact with Belarus and often can go further than the official diplomacy is able to. Thanks to them, contacts between Germany and Belarus remain strong despite the difficulties the foundations meet in their work with Belarus. Foundations play an important role in German foreign policy. They constitute an instrument of soft power in terms of its non-formal foreign policy. The culture of foundations has been particularly well developed over the recent years. Over 90,000 foundations operate in Germany nowadays. However, all political parties in Germany have a foundation attached to them and they often wear names of important party leaders. The foundations insist they act independently from parties, however, they agree with them on the main spheres in which they act. Moreover, the leading committees consist of party members and politicians. All of them have the legal form of an association and they receive by far the majority of their allocations (around 90%) through the German parliament and German ministries. They have greater potential and possibilities in the realm of international cooperation than political parties because they are not formally actors of state diplomacy. As an association, they can perform tasks that political parties cannot tackle due to their political nature. This is why the foundations have proven to be important partners for independent Belarus during the last twenty years. While the official German-Belarusian relations have been rather rocky, the foundations have tried to maintain relations between both sides. Away from ministers’ meetings, they address different group of actors according to their party’s political positions: The Boell Foundation (Green party) addresses ecological issues while the Naumann Foundation focuses on topics related to their own liberalism and values. Many of the foundations have programmes for journalists, such as in those working on the freedom of the press and free information as a basis for democracy, which is one of the most important values that all parties and foundations share. Most important of all, however, the foundation establish partnerships with those Belarusian parties are closest to their own policy preferences and positions. The Adenauer Foundation, for example, cooperates with Belarusian Christian democrats. Those contacts make it possible for isolated Belarusian opposition activists to cooperate with established parties, to profit from their experience in party work and establish the necessary structures within their party. As a democratic country, Belarus will need a functioning pluralistic system of people’s parties. For this reason, the Belarusian authorities eye the work of political foundations with suspicion. Unlike most countries where they work, it has proven impossible for German foundations to establish any representation offices in Belarus. Most foundations therefore have local offices in Kiev, while Konrad Adenauer Foundation (a party close to the conservative party CDU) has representation in Vilnius. This is a wise decision, as most of the Belarusian opposition activists and think tanks have been forced to go into exile and meet there frequently. Very often, the representatives of foundations have difficulties in securing a visa to travel to Belarus which makes work for them very difficult as they have to organise their projects from abroad- and they can rarely visit their project partners within the country. This has become a general problem as far as cooperation with Belarus is concerned: After so many years of of a stand still in relations, most foundations have reduced their projects with Belarus to a minimum. As the authorities make cooperation more and more difficult, the funding for projects amounts typically only to small sums. Over the past years the media has often reported about the searches carried out in the offices of foundations or even their forced closure in other countries like Russian and Egypt. 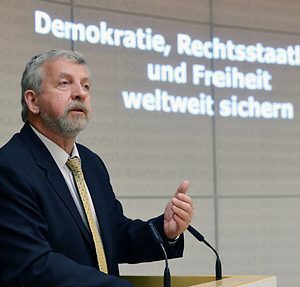 In the end of 2011, the small office of Friedrich Ebert foundation (who politically is close to the social-democratic party SPD) had to be closed as the authorities did not extend its license. Up to then, the one-man office had the function of ensuring contact with their local partners. One important, though a decidely non-political organization, is the Robert Bosch Stiftung foundation, associated with the Bosch company and not financed by public funding. The foundation has long funded important projects with Belarus such as the Contact programme, a programme that has granted funds to German-Belarusian grass root initiatives. This project has made cooperation on the crucial citizen-based level possible for several years by granting micro-grants of $4,000 to German and Belarusian non-profit projects. However, the foundation has discontinued this project in the light of its new priorities. As with many institutions, the focus seems to have shifted towards the countries of the so-called Arab spring. It seems like even the foundations have given up on their hope of seeing a process of real democratisation in Belarus. Most of them now focus very specific aspects of political development. The Konrad Adenauer foundation recently organised a summer school for young political leaders. A group of young opposition activists met in Lithuania and received media training as well as practical tutorials on organisational development and negotiation techniques in preparation of the forthcoming municipal elections in Belarus. This seems to be a workable good approach as the old generation of opposition politicians seems to have lost stamina over the last years. The Friedrich Naumann Foundation (close to the Liberal Party, FDP) writes on its website that the work of the foundation within the country is hindered by the authoritarian character of the Belarusian regime. The foundation therefore tries to invite Belarusian participants to its seminars and events and to include Belarusian actors in their activities. As soon as the situation improves, Friedrich Naumann and the other foundation will gladly intensify their project work with Belarus. While the foundations certainly play an important role in keeping up contact with various actors of Belarusian civil society, they regrettably cannot tap their full potential. Keeping in touch with their political counterparts in democratic countries is vital for Belarusian opposition politician. We can therefore only hope that the foundations will not give up on Belarus and keep funding the projects they have implemented at the moment, despite the difficulties they are encountering.